September 1st marks the release of Rue Morgue Magazine's all horror synth-themed digital compilation They Came From Rue Morgue! The compilation features twenty acts from the current horror synth scene, including artists such as Tangerine Dream's own Thorsten Quaeschning and Ulrich Schnauss premiering a track off their all-new Synthwaves album, Umberto, Zombi, and an all-new track by Videogram. Although this compilation is a free download, all proceeds will be donated to charity, so please consider adding a couple of bucks when getting it as it is for a good cause. Available until October 31st, 2017, you can get your copy here. 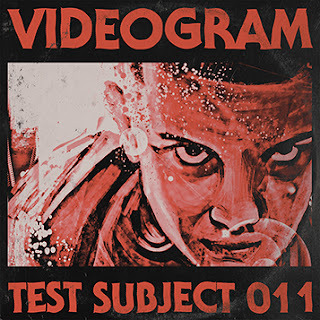 To coincide with this I am releasing the all-new Test Subject 011 EP! With a title track written specifically for They Came From Rue Morgue compilation, the four-track EP features additional tracks written during that same time period, all with a Stranger Things theme. A bit darker than my previous efforts (Retro Gaming Magazine sums it up as "gorgeous" and "darkly intense"), the EP sees an expansion of the Videogram sound, injecting it with a healthy dose of both Italo and Space Disco, but also reaching outside genre boundaries by adding live string arrangements to the tracks. You can get it via Bandcamp for 3 Euro (approx. $3.60).